Welcome to the second edition of The Pack List — this week compiled and published from my home base in Bath, UK. I recently purchased the Setout Packable Daypack and have used it on a couple of recent trips. It was my first Tortuga purchase but the recently announced Setout Divide might be my second. Additionally, Tortuga have announced new rain covers and a shoulder strap that will fit many of their current range. All items are expected to drop this summer. It’s hard to keep pace with Bellroy’s new releases these days — especially their bag range. I recently reviewed their Tokyo Tote which looks great and upon receiving a recent email newsletter was also struck by their Duo Totepack which reminds me of my own EDC which I featured a few weeks ago. Retailing for £259 + shipping it’s at the higher end of the scale but as I’ve mentioned before Bellroy produces quality goods. There’s some really nice attention to detail with this bag including the clip that allows expansion, the many internal pockets for the daily laptop carrying commuter, and the water-resistant fabric for those northern Europeans amongst us. Available in black, moss and ink blue. If you like the look of the Totepack then you might also like the Duo Work Bag. I for one have often admired the business traveller striding confidently through the airport with their Rimowa suitcase. 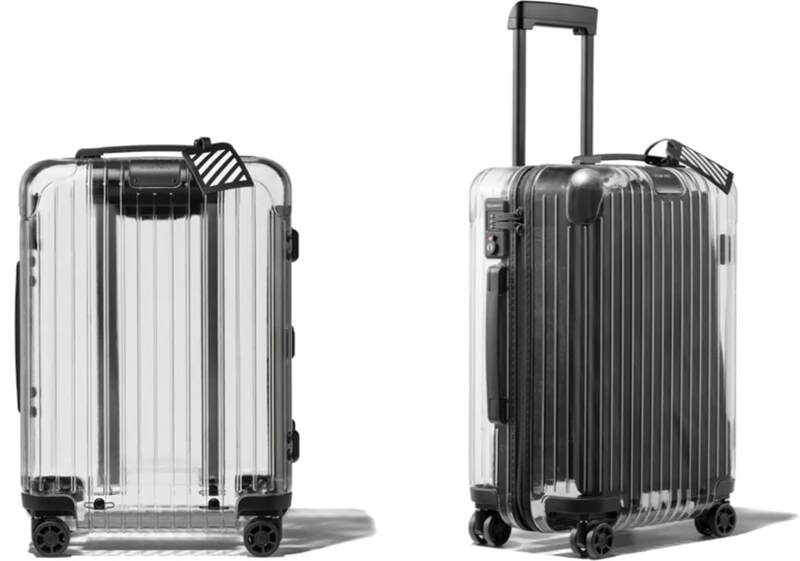 They are distinctly out of my price range, not that I am one for a suitcase, but it appears they have divided opinion with their latest $1,000 release — a fully transparent suitcase. It’s a collaboration with world-renowned streetwear label Off-White (I’ll be honest — I’d never heard of them) and will feature little more than a see-through polycarbonate shell, jet-black handles, locks, and wheels. Apparently, Rimowa will provide soft black pouches for your items but as the article says “where is the fun in that”? You spend years looking for the perfect backpack in black and orange and then two come along at once! The BRFCS from Rocky Mountain Underground is a stylish 35L (expandable to 50L) backpack built for outdoor use but, I believe, would work equally well for the frequent flyer. Retailing for $199.00 USD it’s in the mid-range for a bag of this size and nature. I like it, and its clamshell opening (an increasingly popular style) makes it look easy to pack and access. 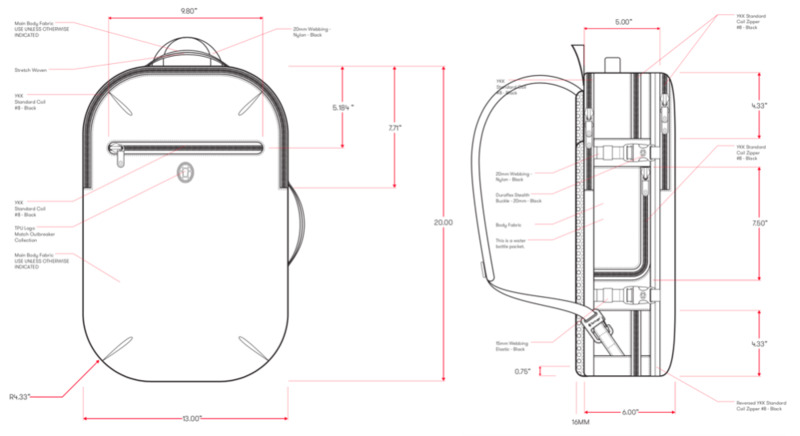 Who doesn’t like a peek behind the scenes of how a regular traveller packs their carry-on? OK, I’ll admit, it’s a niche interest but one well and truly satisfied by this post by James Clear — an author, photographer, and weightlifter focused on habits and decision making. In this article, shared by LOTP guest author Kurt Elster, James outlines his 3 rules of packing light, his preferred minimalist travel gear, the best travel clothes and his favourite travel toiletries. 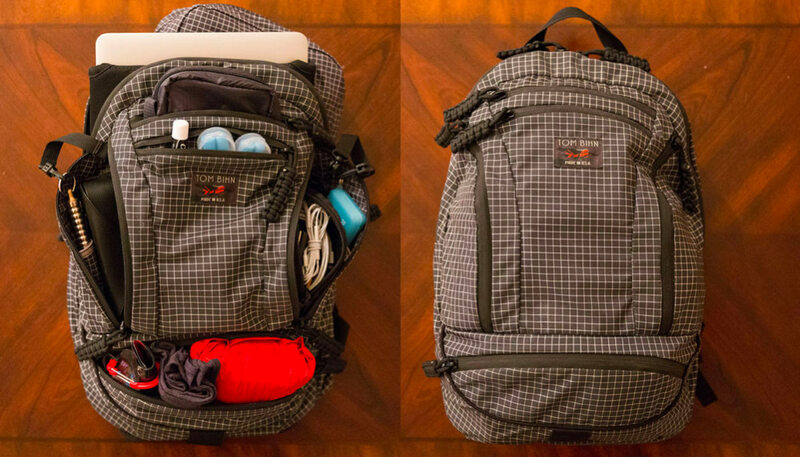 How he packs it all in his Tom Bihn backpack I’ll never know (ED: it explains in the article)!